Fully updated, revised and consolidated into one single volume, the fourth edition of Kinanthropometry and Exercise Physiology offers the best theoretically contextualised, practical resource for instructors and students available. Offering on-line access to newly developed exercise science measurement tools through the Exercise Science Toolkit – www.exercisesciencetoolkit.com – no other book offers such a complete resource, from the science of kinanthropometry and exercise physiology to their applications in health and performance, through practical, interactive learning. 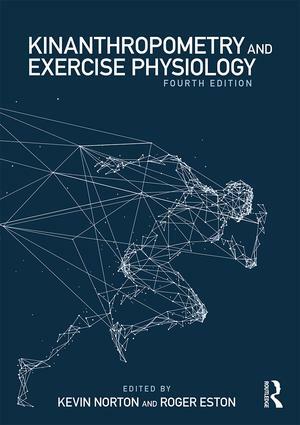 This book is an essential companion for students on any sport and exercise science-related degree programme and any instructor leading practical, laboratory-based classes. 17. Characterising Physical Behaviours in Free-Living Populations: How Much? When? Where? What? 20.Game Style in Team Sports: What Is It and How to Measure It? Kevin Norton is a Professor of Exercise Science in the School of Health Sciences at the University of South Australia, Australia. His current research and teaching interests include exercise-induced changes to health risk factors, interventions to increase physical activity among adults, and limits to human performance in sport. Roger Eston is a Professor of Exercise Science and Head of the School of Health Sciences at the University of South Australia, Australia. His research interests include anthropometry and physiology relating to health and performance in children and adults.